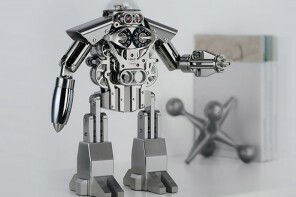 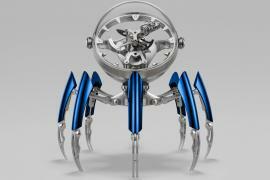 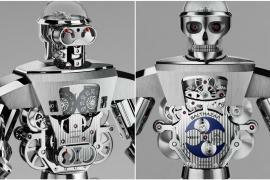 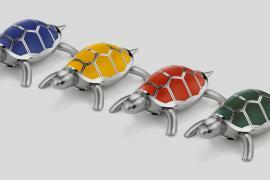 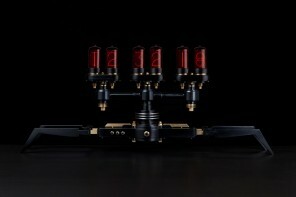 If you thought the HM3 frog was the best that has come out of the MB&F, then take a look at this baby now. 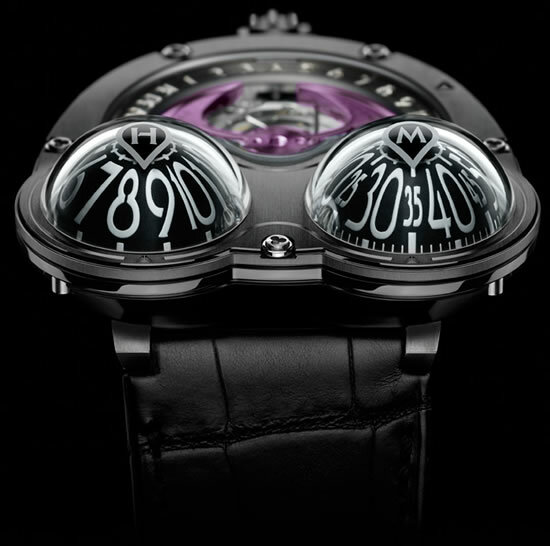 Although pitching purple against a black standard watch may appear ambitious, they seem to have pulled it off quite well. 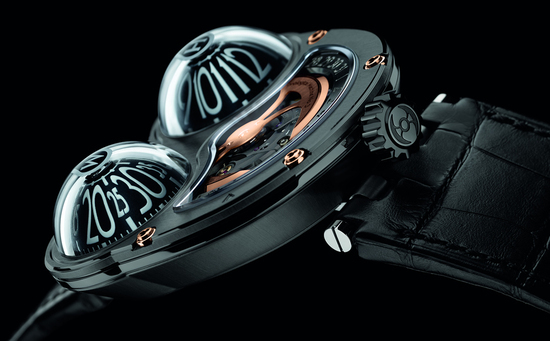 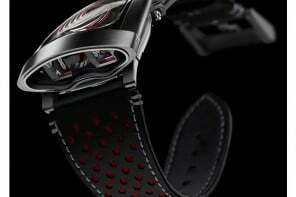 Limited to 18 pieces, the Frog Zr by MB&F is quite a stunner. 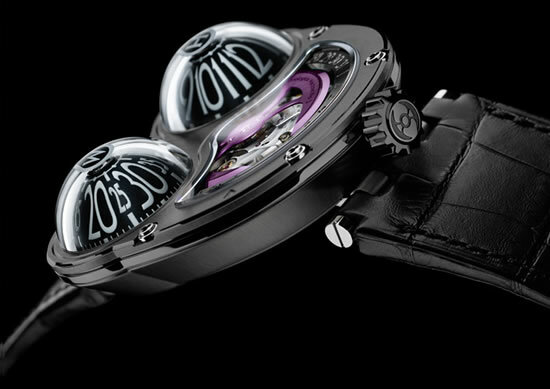 As its name suggests, ZR stands for zirconium, and is set in high end black PVD zirconium, with a “flamboyant purple 22K gold rotor reflects hints of green and yellow”. 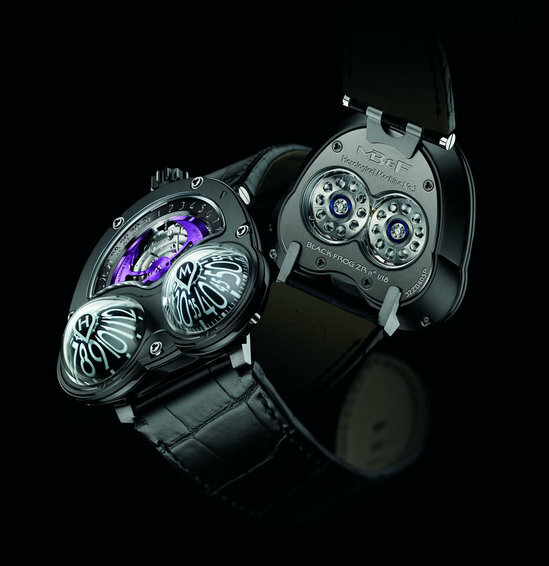 And since it is as rare as Isthmohyla rivularis, from the Costa Rican rainforest, the watch will also be available at their new retail partner in Costa Rica called Hossli Jewelers. 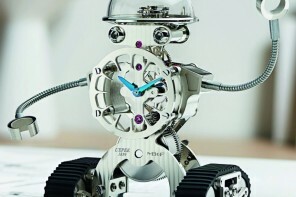 The watch will also be available at retail outlets in Los Angeles, Greenwich, Mexico City, Paris, London, Interlaken, Kiev, Singapore, Kuala Lumpur, Bangkok, Taichung and Macao.